Welcome and great pic too! 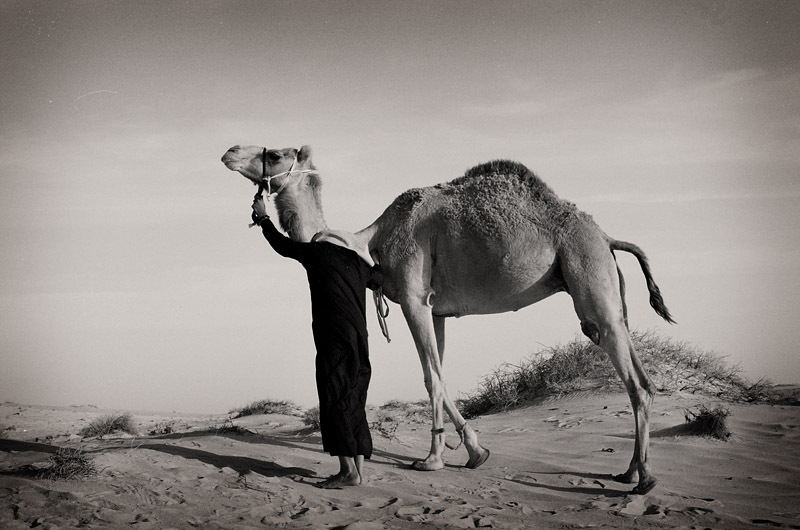 Looks like something Wilfred Thesiger would have taken when he went into The Empty Quarter back in the 1940's. It is a bit wierd but the guide looks headless....spooky.